Hi everyone. I always have had an affinity with red lipsticks. Even though I don't wear them as much as I want to, I'm always drawn to them. Red lipsticks just don't go out of style, and you can always wear them, anytime, anywhere. 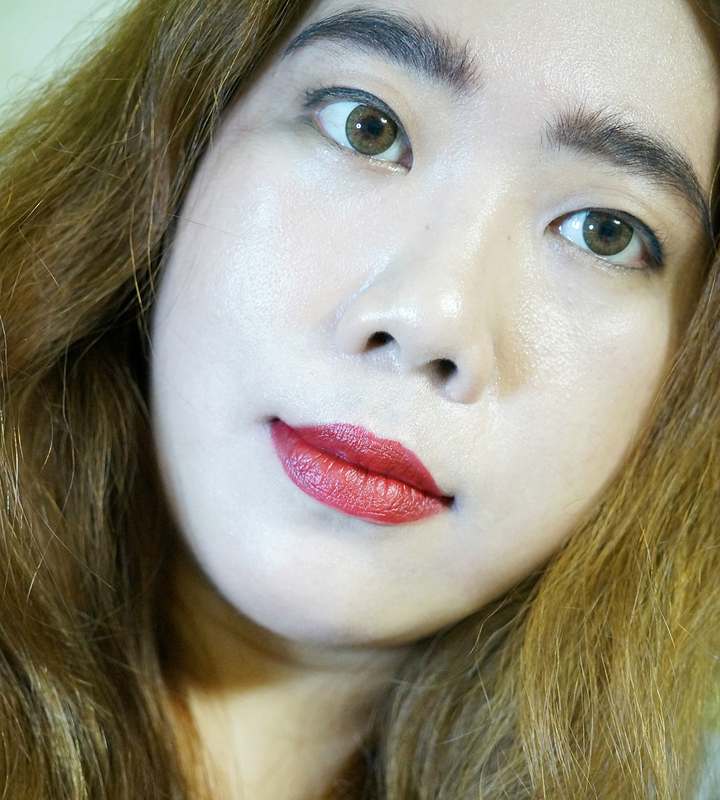 So for today, I have another red lipstick to review. 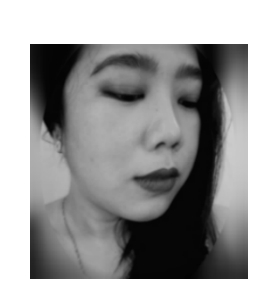 I bought this Kat Von D a few months ago when Sephora Ph had a holiday sale. Kat Von D's Studded Kiss Lipstick line is now discontinued and have been replaced by the Studded Kiss Creme line. 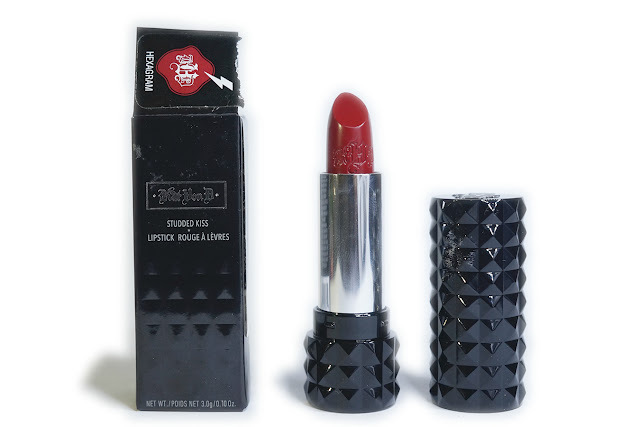 I think the old lipstick line has been reformulated because many had complained that they were drying and difficult to apply. Hexagram is can be described as a medium-deep rich red with cooler undertones. On Sephora's site, it's described as "blood red." 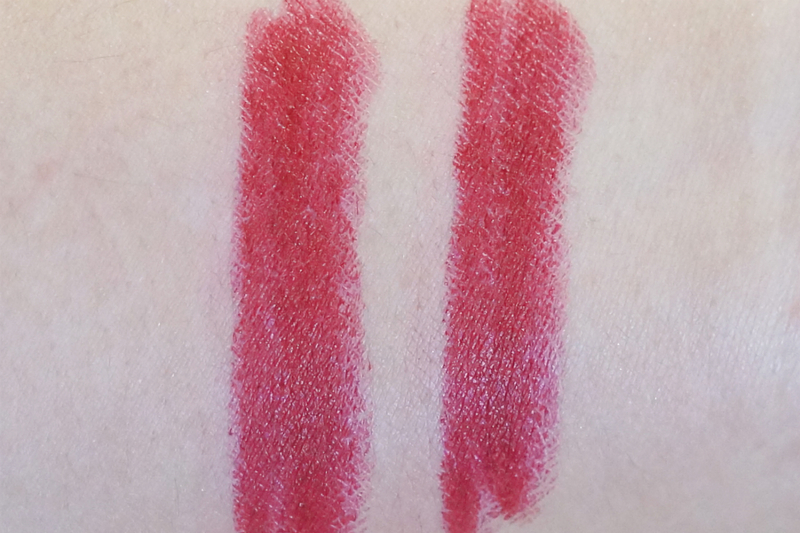 This has more of a true matte finish, with no sheen or shininess. I gravitate towards these kind of blue-based deeper reds because it makes a great contrast against my skin tone and brightens up my face. 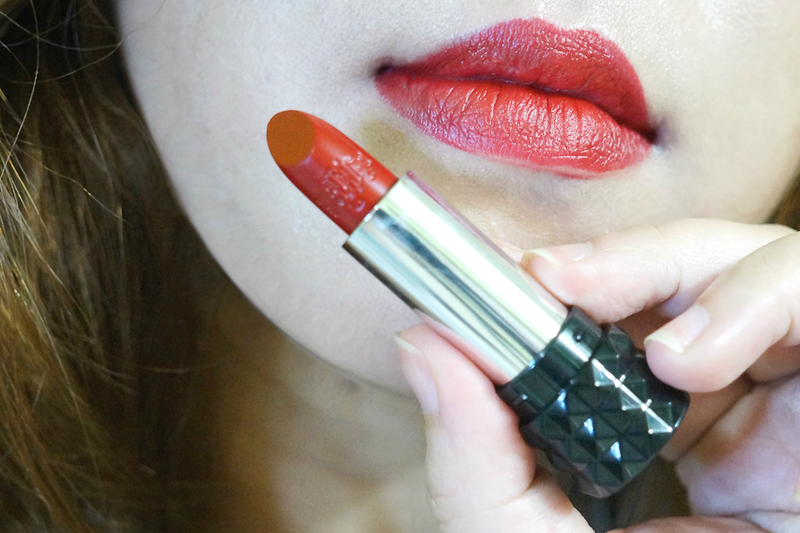 This opulent shade is also perfect for the fall/winter and the holidays. Pigmentation is great, with a single swipe giving full, opaque coverage. 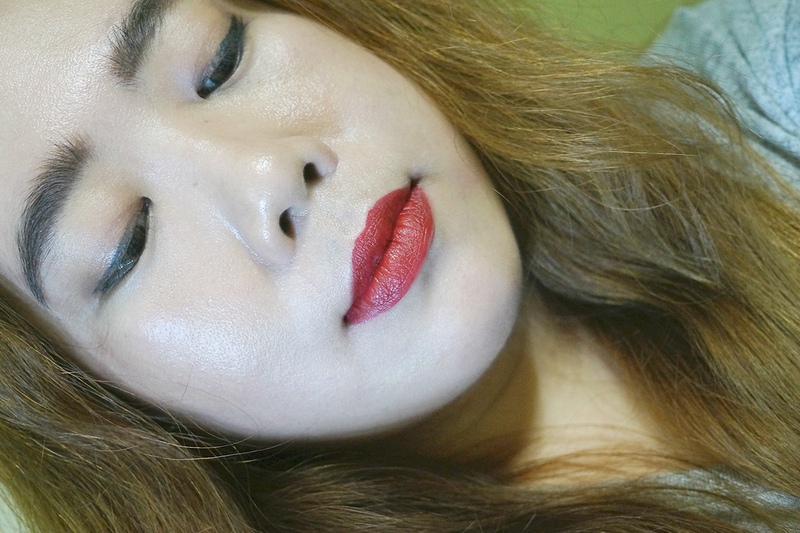 The color went on smoothy and evenly with some minimal tugging, which I expected because of the matte formulation. 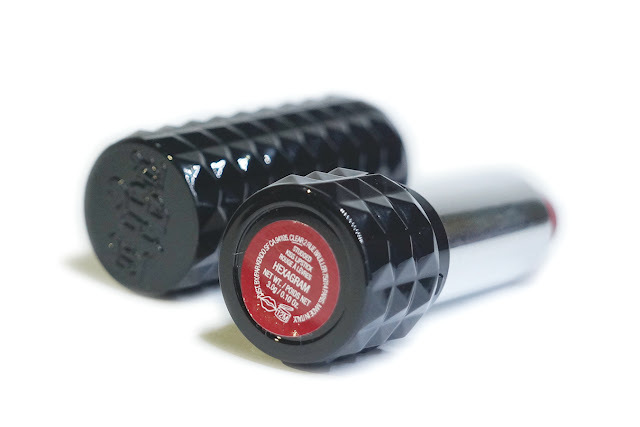 The lipstick's drier consistency is okay as long as you can prep your lips before application. Personally, I didn't have any problems with it because I always prep and exfoliate my lips when I am applying a matte lipstick. 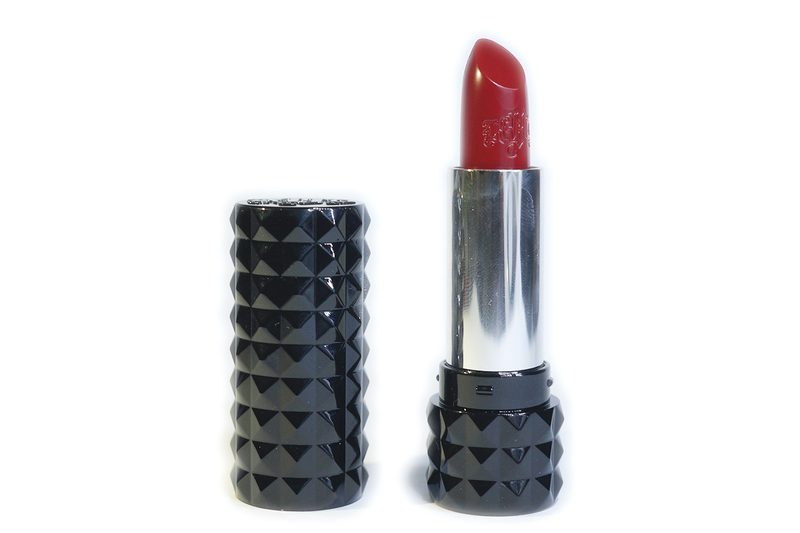 The slight drag when applying this lipstick was tolerable. Comparing to MAC Ruby Woo, Hexagram is the "creamier" one. On the upside, this lipstick lasted long, with up to 8 hours of wear. It faded evenly and didn't settle on any lines, bled nor feathered. The formula was drying on the lips so you will need to apply a balm.